Welcome 2017 with no hangovers from previous night! Weekend parties are inevitable and so is hangover. Drink all night long while preventing hangover. Try just vodka or rum this time. Weekend’s here again and so is the need to party hard. Yes, indeed the weekend calls for party after a grilling week, weekends are there just to party hard and drink harder. People meet their friends, they drink all night and what after that? After that comes, the dreadful hangovers. However, you cannot just forget about the mornings after a party night. First, getting up in the morning after a party night is the biggest task and if you somehow manage to get up, it will take you some time to back to your senses and then follows the unbearable headache that continues to haunt you the entire day. Jason Burke, M.D., an anesthesiologist suggests that hangover is caused by inflammation and oxidative stress and not because of dehydration. He also adds that it is much easier to prevent a hangover than it is to deal with it post drinking. So, if you take extra multivitamin or chug down a glass of pomegranate juice before you chug down a pint of beer, you will less likely to have an hangover the next morning. While drinking you must make sure that you do not starve yourself, it only aggravates the problem. You should have a proper meal along with drinking that has protein, carbohydrates and fat before you start drinking. It is not about how much you drink but how your body absorbs the alcohol and it entirely depends upon what you eat. A meal that has meat could be ideal as it has high amount of amino acids and Vitamin B in it, which process the end products of alcohol in your body. 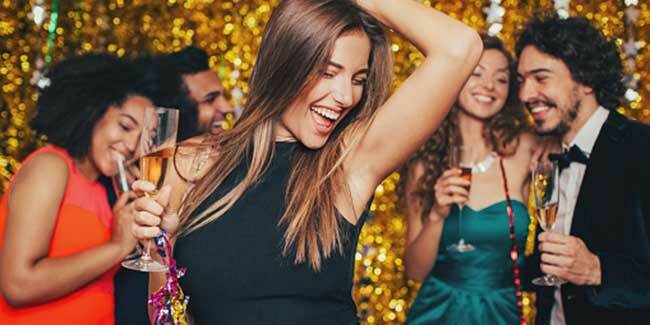 If you have entire night to party, there is no need to drink continuously instead sit with closed eyes, it won’t save you completely from hangover but it will help your body to handle the intake of excess alcohol. Champagne is an aerated alcohol and the bubbles of champagne quicken the metabolism of alcohol and you get drunk faster but you will still drink the entire night, so you will get drunk more, resulting in worse hangover. Drinking causes dehydration, drinking water in the middle of your drinks will help you prevent dehydration and headache. You can also try coconut water or Gatorade, they will fill your fluids with electrolytes and other nutrients that you lose while drinking. Just keep taking sips of water between your drinks. 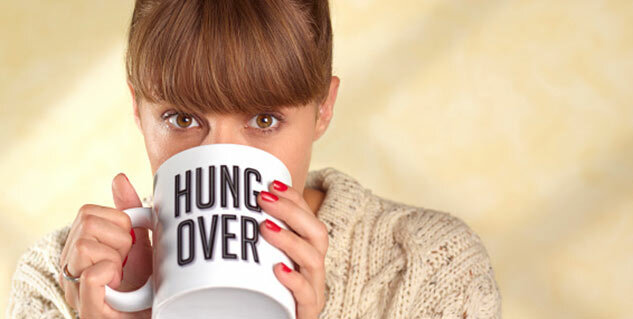 Researchers have found that drinking and smoking simultaneously can increase the severity of hangover. Try to drink only vodka or gin as they have lesser impurities like whiskey and rum. Read more articles in Mind & Body. Why do Babies cry at Night?